Is it a bad idea to split the proceeds from your auction lot with other charities? If you read the article I wrote about Harvey Weinstein and his ties to the AmFAR Cannes auction, you might think it is. Recall that AmFAR is being investigated, and their problems began when they agreed to Weinstein’s demands of splitting the proceeds on the sale of an auction package he secured. AmFAR had never before split proceeds with another charity. But let’s turn to examples of when splitting the proceeds feels right. Splitting auction proceeds can showcase community collaboration at its best and double the pleasure for the parties involved. EXAMPLE 1: For two of my Chicagoland clients, partnering with another nonprofit (a parks foundation) and artists created beautiful pieces of local art. In the Chicago suburbs, a legacy bur oak tree was beloved by the community. For 250 years the tree grew strong. Trails made from the footfalls of buffalo and Native Americans could be traced under its sprawling branches. Eventually those trails carried wagons and settlers. As time passed, a multi-use bike trail and asphalt road appeared. That tree survived industrialization until November 2016, when the Naperville Parks Foundation hosted a good-bye party for it and removed it. Many in the community hated to see the tree cut down. It had been host to wedding proposals and picnics. It held sentimental value. 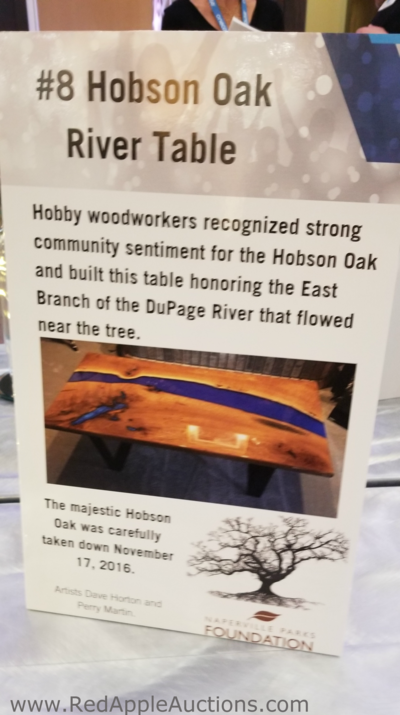 The Naperville Parks Foundation found a creative way to partner with other nonprofits to raise money from the tree, and allow community members to keep a piece of it in their home. The Foundation carefully preserved wood from the felled tree, which was shared with various nonprofits. Two of those nonprofits were my clients. In turn, those nonprofits partnered with artists to create functional works of art from the wood. 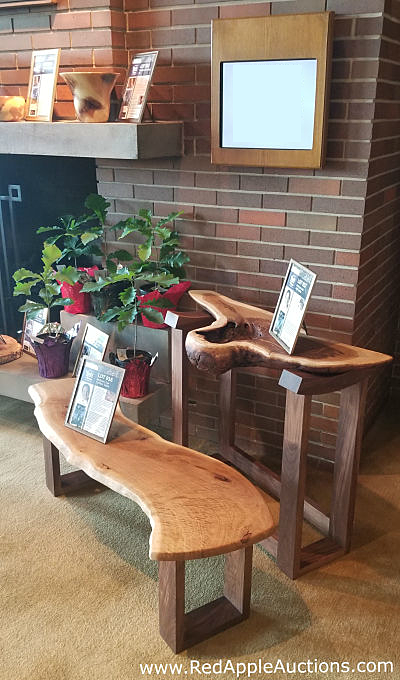 The wood pieces were then sold via auction at each nonprofit’s gala. Once sold, proceeds are split evenly between the Naperville Parks Foundation and the charity selling the item. Additionally, the Foundation took seeds from the tree and germinated them. Two-year old saplings were sold for $200 apiece. 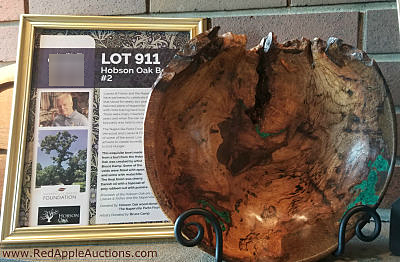 At my events, most of the Hobson Oak items were sold in the silent auction. 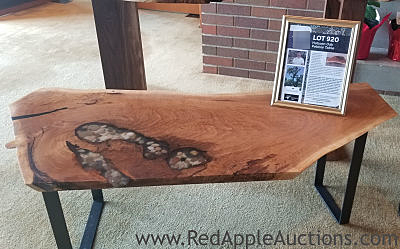 One showpiece item was reserved for the live auction. 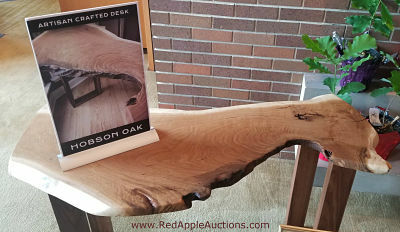 Valued between $1000 and $1500, the Hobson Oak items sold between $3000 and $3750. The proceeds were split 50% with the Parks Foundation. EXAMPLE 2: Booster clubs collaborate to hold an auction and split proceeds. Some school booster clubs will join forces to produce an auction fundraiser. All booster club families are expected to procure items and invite supporters. 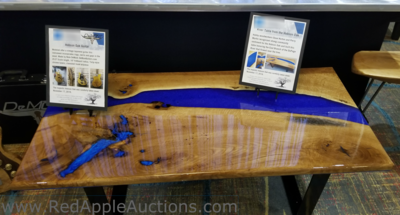 When an auction package is sold, the package’s sale price is split between the booster club that procured the item, and the winning bidder’s booster club of choice. Say an item sells for $120 at the auction. The item was procured by a football parent, so $60 is earmarked for the football booster club. But the winner bidder wants to support the band. Upon checking out, he directs his payments to be applied towards the band booster club. Thus, the band receives $60 from the sale. With the right partner, collaboration like this can be a good thing. You’re sharing the wealth, and it gives you access to donations previously unattainable. Have you split auction proceeds on items? Half the joy or double the pleasure? If you feel comfortable doing so, share below. Great idea and can be worked out easily.